Emphasize country’s structure as a federation with different emirates that cooperate and help each other for the common good. This looks suspiciously as if it is some kind of directive from ‘on high'( i.e. the government) instructing the sub-editor of the Gulf News on what her article should be about or, at very least, what it should emphasize. It could, of course, be totally innocent. Perhaps it is a note written by the author to herself or something like this. However, this really isn’t how it looks. The article, is, by the way, rubbish. I think it’s just a shoddy attempt at writing a subhead (readers express pride…. 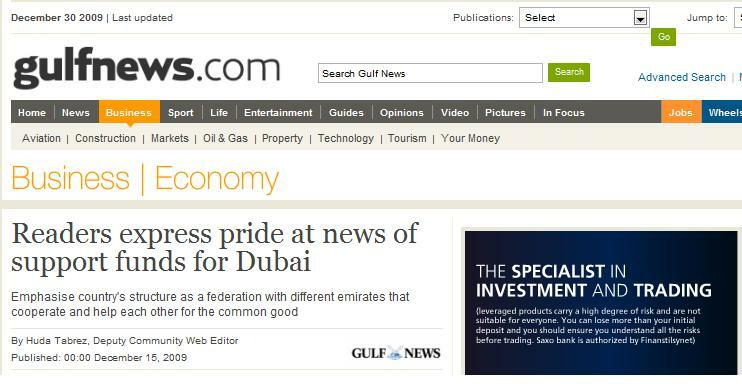 emphasize country’s structure), and that’s the Emirati Gulf News not Qatar’s Gulf Times, by the way. As you know, I’m no fan of press censorship or “guidance” and have mocked same in several blog posts, but I wonder if this sub headline might be nothing more than the writer’s attempt to summarize a common theme among those interviewed, i.e., that they emphasized the unity of the UAE and mutual assistance. Perfectly plausible and you may well be correct, but where’s the fun there? If the content of this subhead was actually meant to be published, then the ‘writer’ has some serious issues with English. “Emphasize country’s structure as a federation with different emirates that cooperate and help each other for the common good.” So is this a command? A mere predicate? This sentence seems so…Mao Zedongish.